The World According to Michael: The Ulster 1999 match 10 years later! Last Thursday mum and me went to see Ulster play the wooden spoon collection. It was a match for Charity. We went because we missed the real Heineken cup final because it was 3 days after I was born. My dad and grandad were soooooooooooooooooooooooooo lucky cause they were at the real final. When we went Ulster won 55 to 45 and that's very good. I loved it. 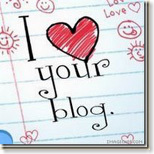 oh and ps... thanks for "following" my blog! Wooden Spoon is the name of the charity the match was for. It is the children’s charity of the rugby world. It helps children and young people who are disadvantaged physically, mentally or socially. It was found in 1983, when the England rugby team won the ‘Wooden Spoon’ in the 5 Nations, Spoon has donated over £14m to a variety of good causes. I copied this from Wikipedia!